This road carries a mix of traffic which varies from large Restricted Access Vehicle combinations ie: road trains etc to tourist vehicles. This is a concern on the narrow sections when these vehicle types are attempting to pass. The pavement has also deteriorated. 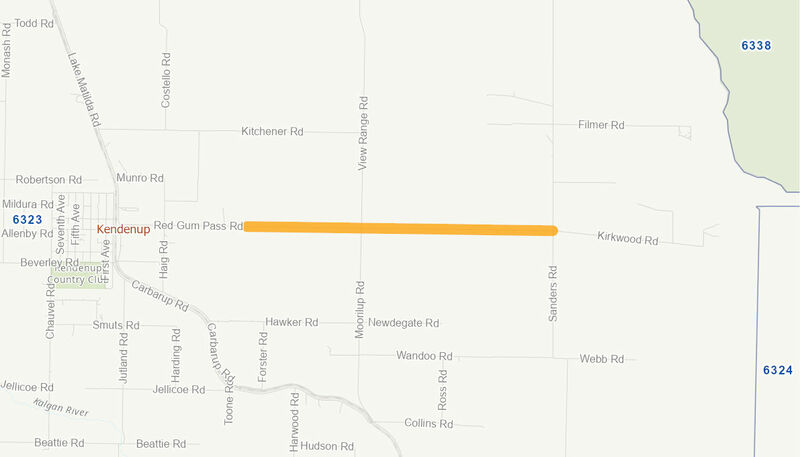 Upgrade sealed section ie: widen shoulders and reseal Red Gum Pass Road, Kendenup, WA between SLK 2.00 to SLK 6.00 to a six metre seal width (Type 4) standard road.